After decades of violence and opposition, it seems that peace in the Middle East might actually be coming soon. For years there have been peace talks that have started strong, but fell apart quickly after disagreements that neither Israel nor Palestine would compromise on. However, last week President Barack Obama stepped out and said matter of factly, the Palestinian people have the right to have their own physical state, as well that they are entitled to it. Of course Obama also mentioned that a few things have to happen first. The issues between the two nations have to be thoroughly discussed and settled. Also, the Israeli people must feel safe within their new borders. 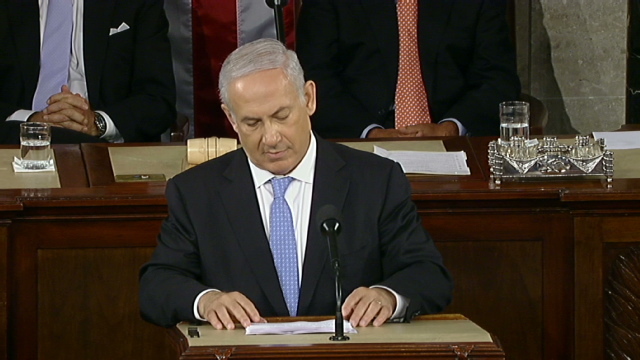 Prime Minister Benjamin Netanyahu of Israel came to the United States on Tuesday to speak with Congress. He spoke in front of the House of Representatives. Joe Biden, the Vice President of the United States, and the Speaker of the House of Representatives John Boehner were both in attendance to hear what the Prime Minister had to say first hand. Netanyahu made two points very clear. First he said that the Israeli government is willing to make the necessary compromises needed to ensure peace in the region. Second, Netanyahu said that under no circumstances would Israel agree to Obama’s suggestion of returning to the borders that were present before the war in 1967. The Prime Minister told Congress that Israel needs to maintain control of areas in the West Bank. He said that Israel is willing to give up land to make up a new Palestinian state and even used the word “generous” when expressing the readiness to compromise. Palestine does want to gain control over both the West Bank and Gaza. Jerusalem was also a major points addressed by Netanyahu. He said that Israel must retain control of Jerusalem and keep it as its capital. The Prime Minister said that Israel is not going to negotiate with Hamas. Hamas is viewed as a terrorist organization by Israel and the United States. It is clear that this process will take time. But the point is that once and for all peace is a very real prospect.